Your imagination is the limit. 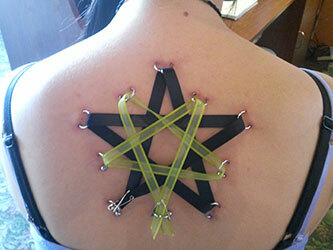 Tell our piercer what you would like and he can assist in a ccomplishing your goals. 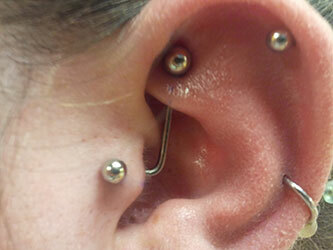 All piercings are done with surgical implant grade stainless steel, titanium or niobium. There are many styles of jewelry available - the showcase continually evolves. If we do not have it, we can likely get it for you. If you live in Indianapolis or the surrounding area, look no further than MidWest Tattoo Company for your piercing needs.